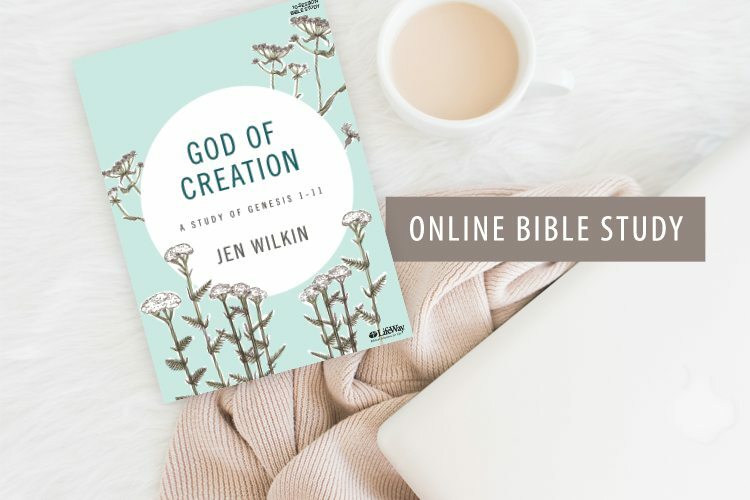 Welcome to Session 1 of the God of Creation online Bible study! We’re excited to study Genesis 1-11 with you over the next several weeks. It’s going to be an amazing summer of diving in to fundamental truths about God that we learn in these first few chapters of the Bible! Please read the following instructions carefully; we’ve tried to anticipate your questions! 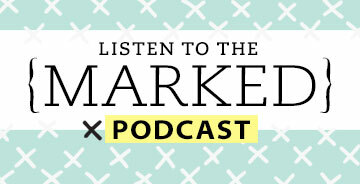 Each week, watch the video with Jen. The videos are approximately 35-45 minutes long. Once you watch the video, we have questions for you to answer in your group or in the comments section of the post. The questions will relate to both the previous week’s personal study as well as the video content. 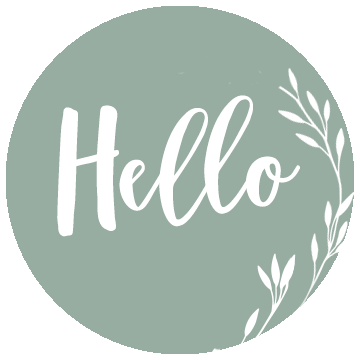 There’s no homework for Week 1, so our hope is that the questions for this week will help you to get to know your fellow Bible study participants. We hope these interactions will be both challenging and encouraging! After the video, we will let you know the personal study assignment to do for the next week in your God of Creation Bible study book. That’s it! 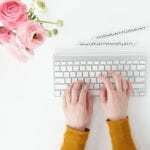 This online study is ten weeks long and is available to those studying together or going solo. 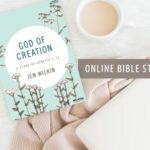 A note about the Bible study videos: We are giving you the complete video content for the God of Creation online Bible study! We will leave all the videos up until September 30, 2018, allowing some breathing room for those who join in late or miss a couple of weeks. After that you can rent or purchase the video sessions here. Answer the following questions in your group or below in the comments to get to know your fellow Bible study friends! What’s your name and where are you studying from? What does this study look like for you (are you doing it by yourself, with a group from church, with a friend on the other side of the world, etc.)? What drew you to study God of Creation? Is there one thought or sentence that stuck out to you in this week’s video? What stood out and why? Before next week, complete Week 2: The God Who Was in the Beginning (pages 16-29) in your Bible study book. We’ll see you next time! 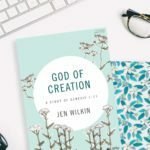 God of Creation Online Bible Study | Sign Up! Hi! I’m Kellie from NY. I apologize for starting this study so late in the game but am excited to see what God will show me. I am on my own doing the study, as my Women’s Bible Study does not begin until October. My group has done two of Jen Wilkin’s others studies and I love her teaching style. 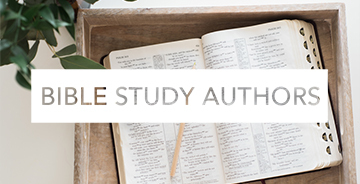 There is nothing more exciting to me than digging deep into God’s Word and having Him reveal a new truth to me that makes me go, “WOW!” I’ve also been meditating on Psalm 19, so I really believe God has drawn me to this study. The one idea that stuck out for me in the intro video is that Moses wrote the Pentateuch during the 40 years of wandering. Although he was writing to remind and prepare Israel, in the true wisdom and grace of God, He provided it for us as well to remind and prepare us. Praying for all of us in the study. Thank you! We’re glad you’re joining us, Kellie! Claire from Oklahoma City. I am just starting the Bible study. I haven’t been close to God and have had waviering faith during these past few years. I just a tug in my heart to try to rejuvenate my relationship with Christ, and I found this bible study and felt like it was perfect for me. I’m studying alone for this one, but I’m hoping to get my friends involved with me in future ones. Sarah Cooper from Erie, CO. 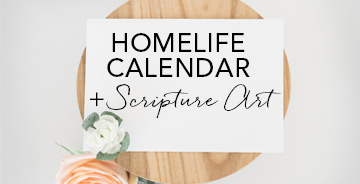 I came upon this site when I was researching Jen Wilken’s book which our Women’s Bible Study has chosen to study this September. I am starting the study to give me incite as to how to lead my group: I learn by repetition! I think by understanding how Jen leads and teaches, I will better be able to help others learn for themselves which is Jen’s goal. After all, a Bible Study is only as good as how much one gleans on their own interpretation and understanding of scripture. I love how she wants to teach us how to Comprehend, Interpret and Analyze what we are learning. Also interesting to me is the online approach to learning as a single or part of a group. The ability to purchase a lecture missed is huge for those who hate to miss and want to take the entire course. Thank you for that option. Also, there are those who are not able to be a part of a thriving church community or too timid to try a Bible Study for the first time. This gives them an option to study with God alone and yet possibly share with others online. 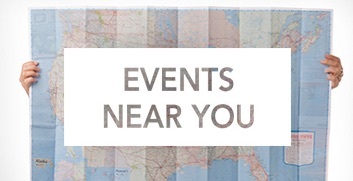 Kudos to Lifeway! My name is Eva Thiessen, I am studying alone in Ancaster, Ontario. I heard about this study through my church as they are doing it but I could not commit to go. Just joining too. Elise from Ohio. Just found this while doing another study. Something that stood out was Moses writing Genesis out of his love and care for the Israelites. Him wanting them to have the foundation to stand against opposition. I’m starting very late, I know. I’m in Colorado just outside of Denver. 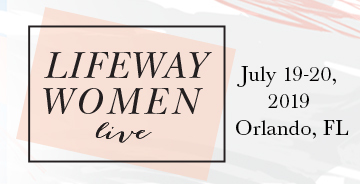 I heard Jen speak at TGCW#18 and loved her perspective and passion. I’m doing the study to improve my bible study habits! I live alone and think I can get done by the end of September…if not I’ll have to pay for a couple sessions. We’re glad you are joining us, Pam! My name is Susan, and I am from Pennsylvania. I am joining this study late as I just found it yesterday and will be completing the study on my own but with help of those found here online. I have completed other studies that have focused on the books of the Bible…such as the Disciple Bible Study. I wanted to return to studying and what a better way to start than with Genesis. The one sentence that stuck out and that I wrote down to post in my own classroom is the quote by Howard Hendricks, “Never do for your students what your students can do for themselves.” It’s like this Bible study. I can listen to whatever is said but until I take it as my own will it ever become my own. Hi! My name is Trish, and I’m from the Central Valley in California. I am doing this Bible study on my own, but not, because I have all of you. I’m so excited to study the book of Genesis with everyone here, even though I am late at coming to the party. I just heard about it through a Twitter post. I’m so grateful to Lifeway for providing this study online. I think it’s a terrific way to connect globally with other believers. Thank you! Hi Patricia! I am glad we are starting at about the same time. Hope we can bounce ideas off each other. Hi Susan, that quote stuck out to me as well. Sounds like you’re a teacher? I teach Special Education at a K-8 school. Hey y’all! I am Lisa Smith from Bowersville, Georgia and I am doing this Bible Study with my 18 year old daughter Grace before she heads off to college. We are a little late getting started but I know that God will bless our efforts and perseverance with wisdom and understanding. 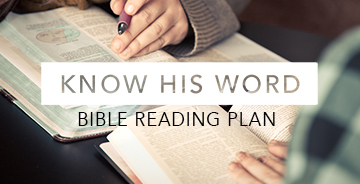 Thank you LifeWay for putting this Bible Study video series online! Hello. My name is Tamara and I’m studying from Bellingham, Washington. I’m doing this study by myself. I ran across the link on Twitter and thought I’d like to join in. I appreciate that Ms. Wilkin took the time to explain the basics of how to study scripture and I look forward to seeing Christ in the First Testament of the Bible. My name is Sonya from Virginia. I am sort of doing this by myself but have friends who are in different parts of this study. I am doing this study because Jen Wilkin is an awesome and I really learn a lot from her studies plus, the work book was a gift for my birthday from one of my BFFs. What struck me from the video is how she talked about people say “why the Old Testament” like it is irrelevant to us today but she pulled in 1Corinthians 10:6 which is the New Testament answer to that question. I also really liked her metaphor about sending her kids to college with roots and shoots and that was what Moses was doing when he wrote. My name is Linda from Pennsylvania. I am doing this study alone. I just finished reading “Women of the Word” by Jen Wilken. I love her 5 P’s study method! While I was at LifeWay I saw a poster about this bible study, and I was excited to get the book and join in. I want to be more equipped to study with the CIA study method. I am Susan from southern Illinois. I’m doing this study alone. I love any study that focuses on the attributes of God, so the title of this one captured my interest. I love that what Moses wrote in the Pentateuch is foundational for all the rest of scripture. My name is Patrice studying from San Diego and I am doing this study alone. I follow Lifeway online and saw that a new study was coming up. I really like the CIA acronym because I have a problem of reading fast just to read but not reading to comprehend or even understand what i am reading. I just read to check the box. Now this helps me to slow down and actually concentrate more on what the text is saying rather than “achieving” reading x amount of pages a day. My name is Lisa from South Carolina and I’m studying on my own. I have been wanting to get back to formal bible studies and this one looked like a good place to start. It’s always good to start at the beginning isn’t it. I’m a little behind but hope to catch up. What struck me from the video is that I need to be asking more questions and not relying so much on the leader. I can understand the truths God placed in the bible. My name is Karen, and I’m studying from Washington, Texas. I’m starting a bit behind, but looking forward to catching up. I’m studying this one on my own. I am part of a group Bible study at my church on Thursday afternoons, which is really fantastic. What I love about this study is that it helps us know who God is, and knowing Him helps me know how to move and have my being in Him for His glory. My life verse is Jeremiah 20:9. My name is Patricia . 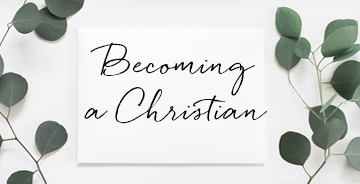 I am joining the group because I want to learn more about the character of God and his word. My name is Elena and I am doing this study from home in Indianapolis. 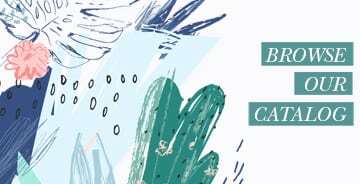 I wanted to continue with a bible study for the summer – the group that I usually meet with does not meet in the summer except for once a month…and that is more of a social gathering than a study session. The one thing that stuck out for me in the first lesson was that we were all in darkness before our God rescued us with his light, love and mostly his son. I’m Melissa from the mountains of North Carolina. I am doing this study by myself its actually my first bible study so am real excited and what better place to start then the creation. I just started to read the bible to learn it so i am happy to learn and try out the CIA studying plan. Melissa, I hope you enjoy it. I am so glad you are reading the Bible. It has been a lifesaver for me! God is good.